Today is Party With Your Bear and it is also National Fast Food Day. So Annie and I had the fab idea to celebrate both days at once! 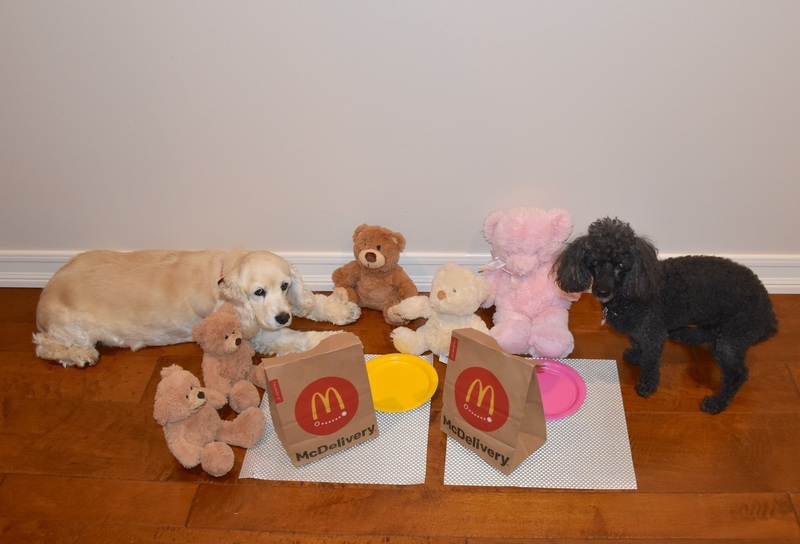 We ordered McDonald's and invited our fave teddy bears to have a party! Double Cheeseburgers and French Fries for all ! 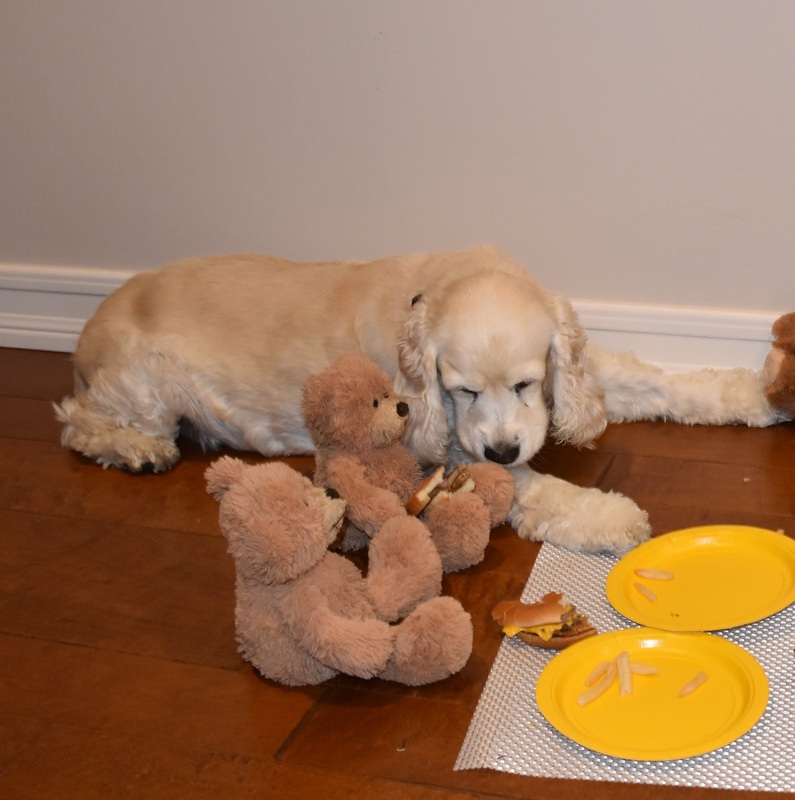 Since Annie couldn't choose one fave Bear, she didnt know what to do since she only had 2 burgers and 4 bears! I told her to give them each 1/4 of a Burger since I knew she would want a whole one. I immediately went for the French Fries because I don't like them to get cold. Annie doesn't care about fries, so she started eating her burger. Of course Annie finished way too quickly while everyone else was still enjoying theirs.Then, she noticed her Teddy Bears' still had their burgers so she ate those too! I ate a lot of fries and a little hamburger. I am saving mine for later! Glad you got some eggs! (I guess they are Fast Food too since they are quick to make!) 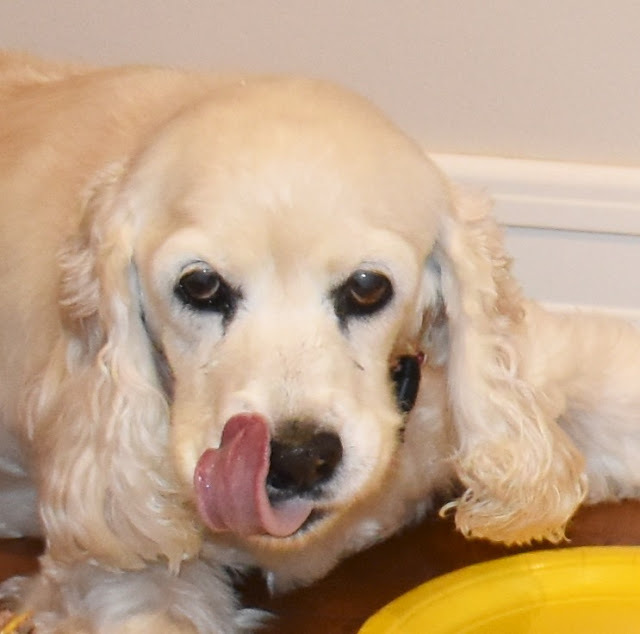 RosyPoodleKisses! Wow, you two party all the time, don't you???!!! We never get to have a whole burger, never mind fries too - we are so deprived. We always keep track of special days of the year which gives us reason to party! I wish you could join us! I would definitely get each of you your own happy meal! RosyPoodleKisses! Bears and Burgers all rolled into one big day. What fun! Every day is Fast Food Day around here because, with so many cats, we have to eat quickly to avoid Tiki coming around asking for leftovers. He's not fat though, just very solid.